Have you heard of cases in which archaeologists discover unspoiled pots of honey that are thousands of years old but still safe to eat? It’s not a myth — raw honey, like our all-natural Hawaiian honey, really can last forever. Even after sitting around for thousands of years, honey is safe and delicious to eat. There are several factors that work together to give honey its longevity. First off, honey has a very low moisture level in its natural state. Since bacteria and fungi need moisture to survive, honey is rather unappealing to them. Honey’s low pH, which falls between 3 and 4.5 and is considered quite acidic, also makes it unappealing to microorganisms. These tiny creatures are responsible for the “spoiling” that occurs in most foods. Without them, it’s impossible for honey to spoil. It is not low moisture and high acidity alone, however, that account for honey’s remarkable resistance to spoilage. Molasses is also low in moisture and acidic, and although it does last for several years, it won’t last indefinitely. 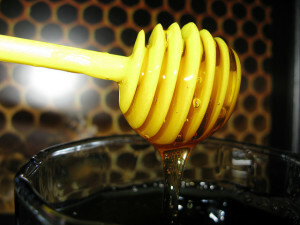 The factor that differentiates honey from more easily spoiled substances comes straight from the bees. Honey is made from nectar that the bees collect from flowers, store in their stomachs, and then regurgitate into the honeycomb. In the bees stomachs, there is an enzyme called glucose oxidase. When this mixes with the nectar, it releases hydrogen peroxide, which is quite unappealing to spoilage bacteria and fungi. As long as you keep it in a sealed container so moisture cannot get inside, your honey will never spoil. Keep in mind that our all natural Hawaiian honey may crystallize as it sits, but it is still completely safe to eat. In its crystallized form the honey becomes a lovely spreadable treat that will melt nicely into toast or other warm foods. Visit our website to explore our selection of honey, and try some of the sweet stuff for yourself.